When I get overwhelmed by things beyond mt control, I distract myself by turning my attention to the simple and the routine. Exercising, walking the dog around the neighborhood, cooking the kind of nourishing meals that I know so well I can make them without thinking. Which brings me to this cabbage. Cabbage. It’s such a homely vegetable. It’s easy to overlook the taut, heavy heads in the midst of the bounty of summer produce. It’s not a farmers market star like tomatoes or sweet corn or even kale. It’s peasant food. Humble. Basic. Lacking any sort of flash. Which is too bad because it has such potential. And one of the best ways to bring out that potential is to throw it on a grill and get it charred and blackened in spots. Like most brassicas (Brussels sprouts, kale, cauliflower), cabbage is an absolute champ when caramelized. 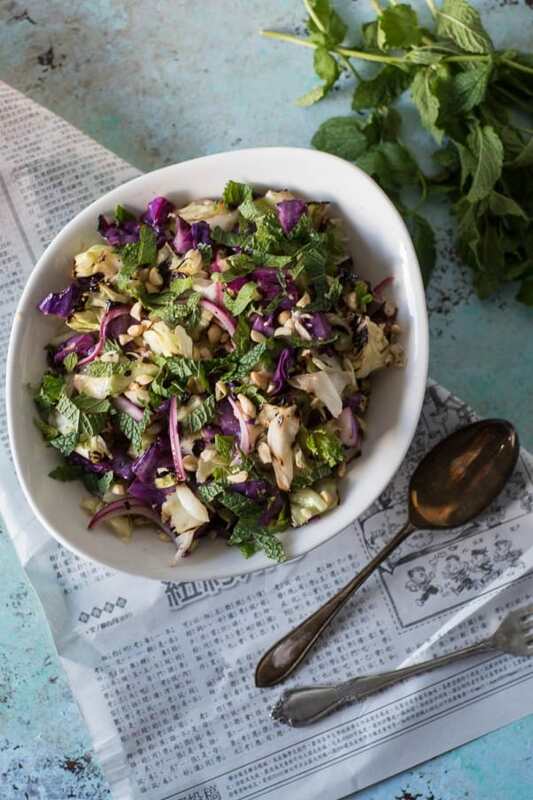 This slightly smoky, umami-rich grilled cabbage salad with peanuts and mint is a great one for converting cabbage skeptics. And it’s a cinch to make. Toss some thinly sliced red onions in lime juice to lightly pickle, dissolve some sugar in fish sauce with a bit of garlic and sambal oelek or sriracha, slice some cabbage into thick wedges and grill until charred on the edges, let cool and slice again into bite-sized pieces, toss with the onions and fish sauce mixture. 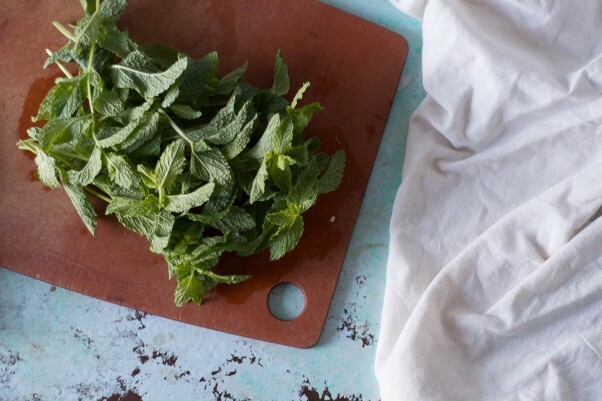 Throw in handfuls of chopped peanuts and fresh mint. Devour. It’s perfect for cookouts and barbecues when you’re already firing up the grill. It’s also a great make ahead salad that can hang out at room temperature for a couple of hours or in the refrigerator overnight without wilting. 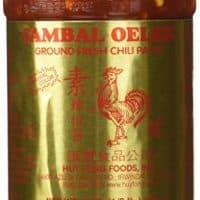 Lately we’ve been eating it with grilled chicken thighs slathered in this sauce, but it would be nice alongside just about any protein, and it makes a perfect light lunch on it’s own. It’s good warm, at room temperature, or cold straight from the fridge. It is one of the biggest reasons I am so glad we finally have a grill. We’ve been eating it just about every week this summer. 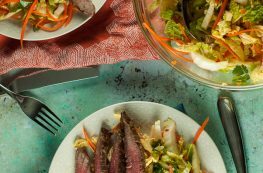 This grilled cabbage salad is dressed with the components of a basic Vietnamese nuoc cham--fish sauce, sugar, and lime. 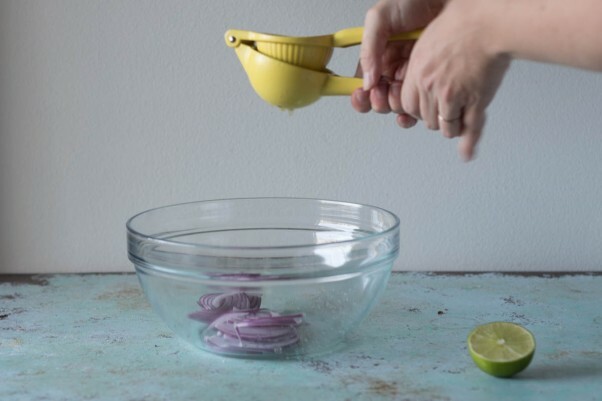 The red onion spends a little time soaking in lime juice (I love this kind of citrus squeezer for juicing limes), which takes away the oniony bite while retaining the crunch. The cabbage gets grilled in big wedges so it doesn't fall through the grill grates and then finely sliced after it's cool enough to handle. If you don't have access to a grill, you could char the cabbage under the broiler or in a grill pan. You can make this with all green cabbage (I often do) but it's prettier with a mix of both red and green varieties. This is one of those rare salads that can be made ahead of time and is still crunchy and delicious the next day. 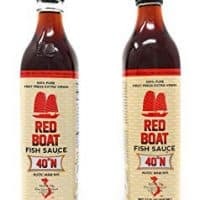 It's good at room temperature or cold from the refrigerator. Add the red onion to a small bowl, slice the lime in half and juice it over the bowl. Set aside to pickle while you prepare the rest of the salad. Add the sugar, fish sauce, garlic, and sambal oelek to a small saucepan, and heat over medium, stirring frequently, until the sugar has dissolved. Let cool. Heat your grill to a medium high heat and clean the grill grates with a stiff brush. 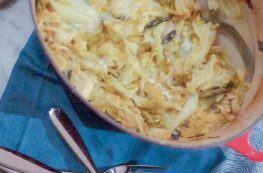 In a large bowl, add the cabbage wedges and lightly coat with oil. Grill the cabbage until charred and blackened along the edges, but still a bit crunchy in the middle, about 3-4 minutes on each side. Return the cabbage to the bowl and let it sit until cool enough to handle, about 5 minutes or so. 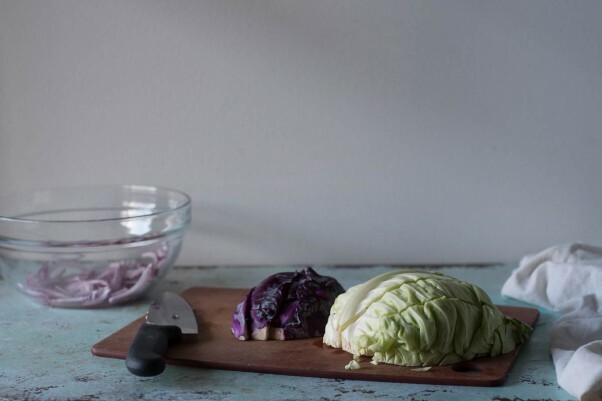 Transfer the cabbage to a cutting board, removing any leaves that are completely burnt to a crisp, and remove the core. Slice thinly. 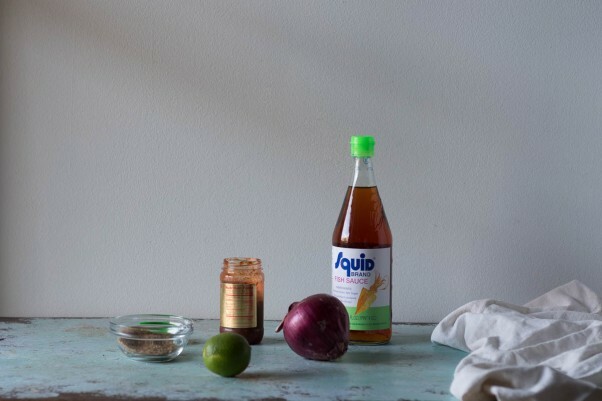 Transfer to a large bowl, add the onion and lime juice and the fish sauce mixture and toss to coat. Add the peanuts and mint and toss again. Serve. Boo cabbage skeptics haha! 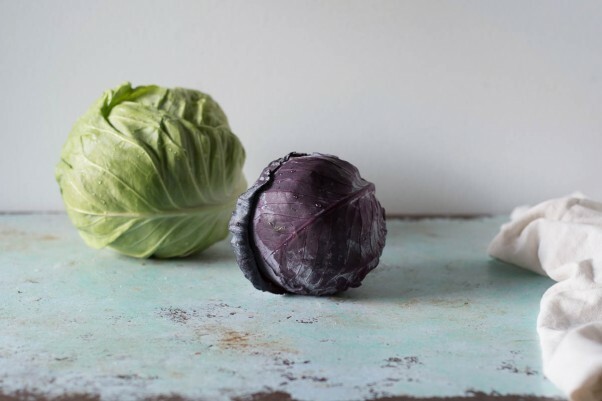 We love cabbage, it’s so versatile. It’s silly that we haven’t tried to grill it before. Because of course it would be lovely grilled! Can’t wait to try your recipe! Looks like a delicious summer salad. Thanks, Jolina! Glad to have another cabbage fan around! We’ve been eating this all summer. Thanks, Dahn! It’s such a versatile vegetable. I eat cabbage very often! It’s my favorite vegetable. Love your recipe and I am saving it for later. Thanks! Thanks! It’s up there among my favorites, too! 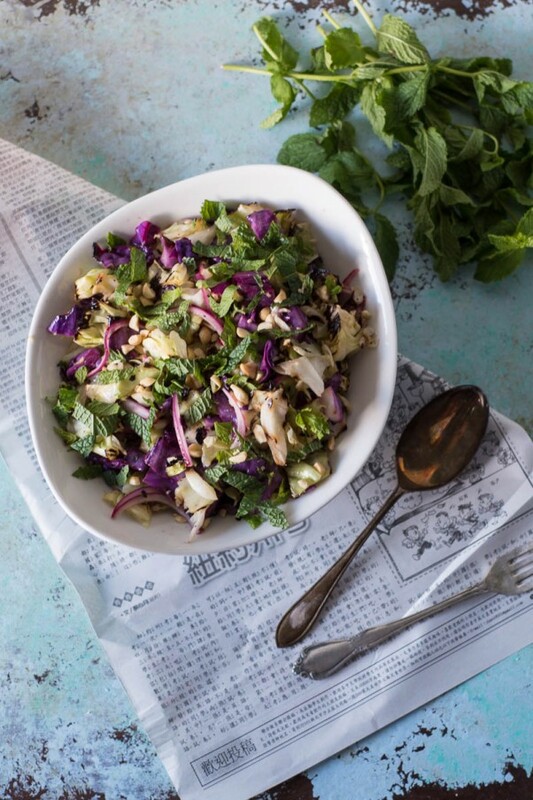 I love cabbage, and make cabbage salads very often. 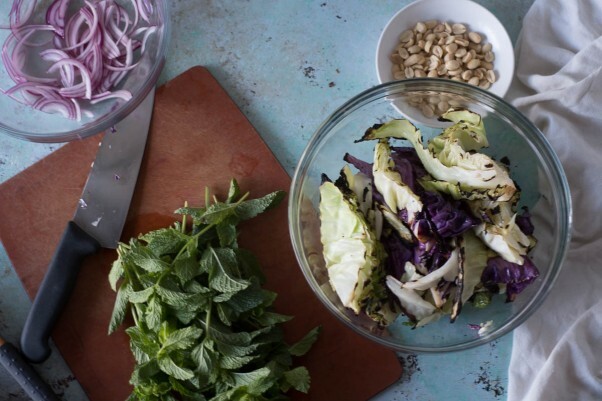 But I love your version of grilled cabbage with peanuts and mint yum! Thanks! I think grilled cabbage is something special! I love the idea of grilling cabbage! yum! Thanks, Kristen! You should totally give it a try! THIS SOUNDS AMAZING! It is a BRILLIANT idea to grill cabbage. Thanks, Anne! I love grilled cabbage! I saw this on your IG and had to stop by for the recipe. I will make it for a party on Friday. Thank you so much! I will be doing the broiler method as I do not have a grill. Tammie, thanks so much for stopping by! Let me know how it turns out!